The PET Scanner to be installed at the Maharagama Apeksha Hospital has arrived in Sri Lanka. 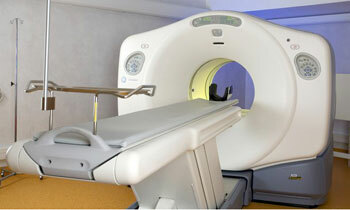 The Pet Scanner has been purchased from Siemens Germany at a cost of Rs. 202 million, a Health Ministry spokesman said. The PET Scanner will be installed in the Cancer Hospital and will begin services before April this year. The public donated Rs. 200 million to the Government to buy the PET Scanner for the National Institute of Cancer in Maharagama. The fund raising campaign was implemented by the Kadijah Foundation, TV Derana and several other organisations. The fund raising campaign was completed in June 2016. Positron Emission Tomography (PET) is a nuclear medicine functional imaging technique that is used to observe metabolic processes in the body. Three-dimensional images of tracer concentration within the body are then constructed by computer analysis. PET scans assists oncologists to determine the latest status of cancers in patient’s bodies. May Almighty Allah bless on each one and very who helped.